With Amanda Gazin’s stories and singing at the park Monday, we kicked off our summer programs for little ones. Amanda and Jamie, Youth Service Librarians at the Central Square Library, will be back five more Monday mornings at 10am. Mass Audubon will bring Nature Detectives to the park starting next Tuesday at 10am. July 7 will focus on Bugs; July 14 on Birds; and July 21 on Flowers. July 12th the New England Philharmonic String Quintet performs a family-friendly concert, with meet the strings. July 31st will be Sports Day at Magazine Beach and on August 4th the Little Red Wagon Theater brings The Princess, The Pauper and Other Stories to the park. For more information, click on Events above. 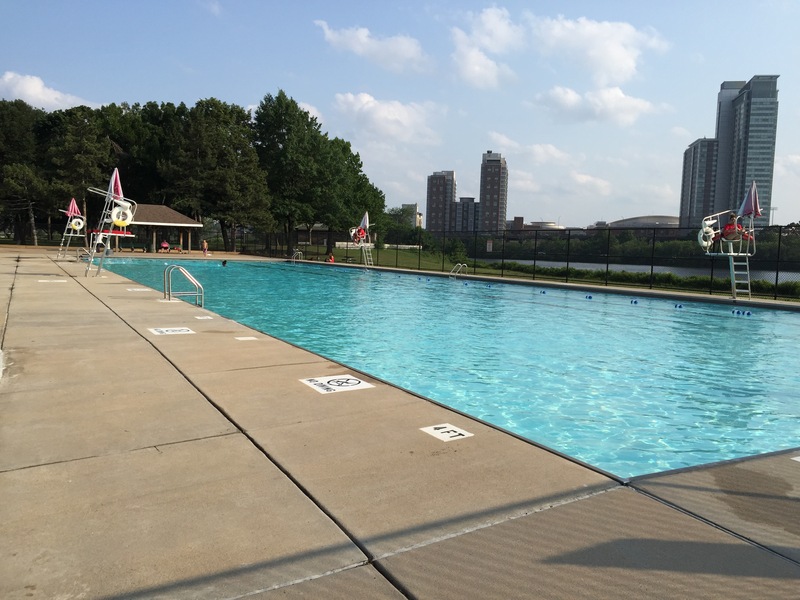 The swimming pool is now open, too, each day from 11am-7pm. Head to Magazine Beach this summer for fun, relaxation and a cool, refreshing dip. ← The Beginning of Something? Salsa Party at Magazine Beach!